NEWINGTON - Traffic, safety and contamination were among concerns cited at a recent public hearing for a proposed low-income housing development on Cedar Street. The Town Plan and Zoning Commission heard from over a dozen people Aug. 8 about an application from Massachusetts-based affordable housing developer Dakota Partners for a 108-unit apartment complex at 550 Cedar St. The proposal calls for amendments to the town’s zoning regulations to accommodate the project by creating a Workforce Assisted Housing District, which would be limited to this particular site. Her husband, Henry Charland, also spoke and blamed the project’s materialization on CTfastrak, the Hartford to New Haven bus rapid transit system that has two stations in town. The proposal calls for three buildings with one-bedroom and two-bedroom units. Seventy-five percent of the units would be rented to low- to-moderate-income families and the remaining quarter, at market rate. The property would feature a clubhouse, playground, parking area and handicapped-accessible units on the first floor of each building. The 7.7-acre parcel is the former site of Crest Motors, located behind Dunkin’ Donuts and east of the Amtrak railway. It is currently owned by Stop & Shop. Although contamination on the property has been dealt with in the past, more still needs to be addressed before construction can begin. “My client is interested in finishing the cleanup, redeveloping the property and putting it back on the tax rolls as multi-family housing,” Dakota’s Attorney Tim Hollister told commissioners. The state’s Affordable Housing Appeals Act makes it very difficult for the commission to reject the application. Also known as Section 8-30g of the general statutes, the act was designed to increase the amount of affordable housing in Connecticut. To deny the project, the commission must prove that it would endanger residents in some way. “The application cannot be denied by the zoning commission unless there is evidence on record that the proposed construction will result in a specific type of harm that constitutes a substantial public health safety concern that clearly outweighs Newington’s need for lower cost housing,” Hollister told commissioners, reading directly from the statute. 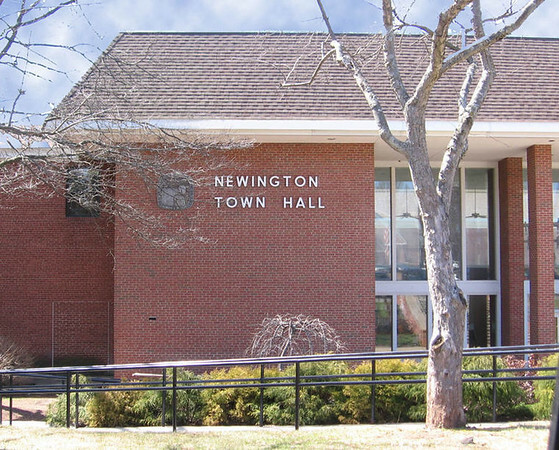 The lengthy application asserts the need for affordable housing in Newington, where renters – about 20 percent of residents - are currently paying an average of $1,600 per month. Speakers at the meeting questioned this figure and the claim that Newington does not meet the law’s 10 percent threshold for affordable housing, coming in short by roughly 240 units at 8.14 percent. Recently-built complexes at the Newington Veterans Hospital constitute affordable housing but are not included in this number because they are federally-funded. He disputed common perceptions about low-income housing developments as catalysts for crime and school overcrowding. “I could find almost no sympathy among group members for the problem of affordable housing at the national, state or local levels, no recognition that solving it is a priority of both federal and state governments and no notion that the majority of residents share these concerns and wish to be part of the solution,” Castelle said, thanking the developer for considering Newington for the project. The company used studies from Rutgers University to estimate that 32 school-aged children will live on the premises, with half relocating from other parts of town. Dakota Partners Principal Roberto Arista told commissioners the apartments would likely be filled by nursing aides, school teachers and service workers. Town Councilor Gail Budrejko questioned how renters will come and go from the complex if it is located near one of the town’s most dangerous intersections and almost no sidewalks. “Residents without transportation will be at risk walking on one of the busiest roads in Newington,” she said. Commissioners asked the design team to revisit its traffic study, as predictions failed to account for future users of a proposed railway station nearby. They also questioned if roadway specifications could accommodate fire trucks and the location of a single dumpster on site. Sandy Austin Goldstein recited detailed environmental contamination findings, urging commissioners to scrutinize all reports before making a decision. “We must exercise due diligence because the potential impact to the people who live at this property in our town is too great not to,” she said. Kathy Flaherty reminded commissioners of their obligation to follow state statutes. Posted in New Britain Herald, Newington on Tuesday, 28 August 2018 19:21. Updated: Tuesday, 28 August 2018 19:24.